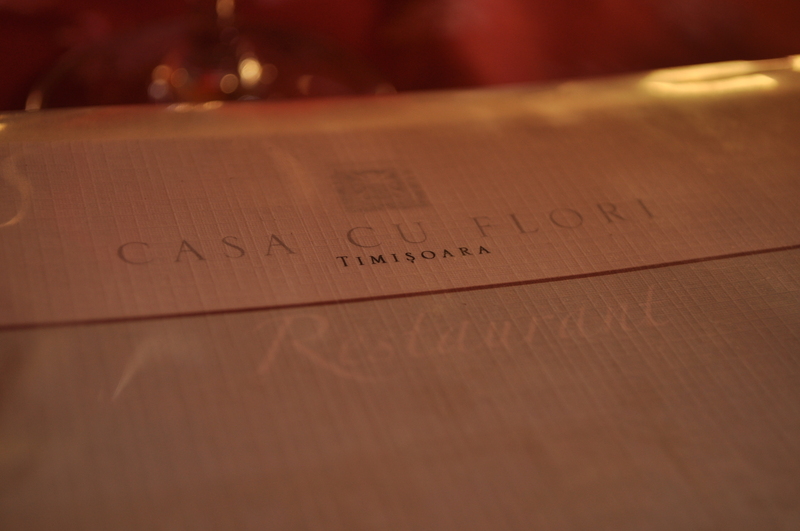 Casa Cu Flori is located on Str. Alba Iulia in Opera Square, and is essentially a tower of food. They have a coffee shop on the main floor, a place to purchase confectioneries on the second floor, and a restaurant on the top floor. 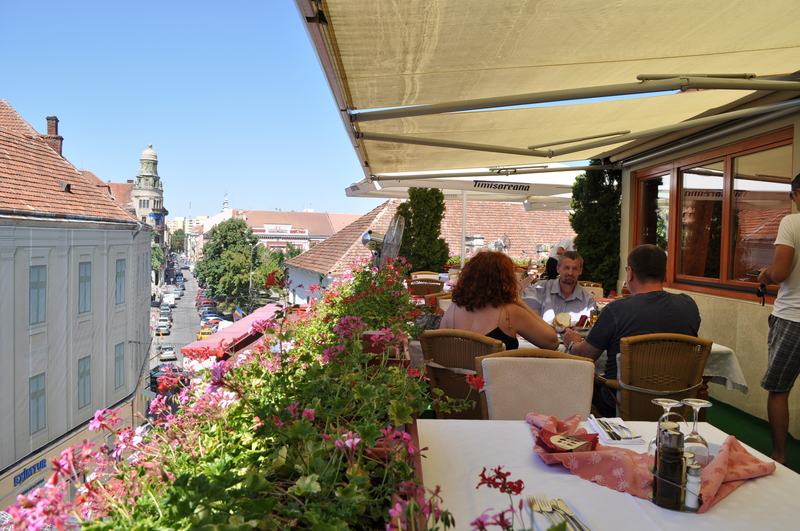 In Casa Cu Flori Restaurant, customers have the option of enjoying their meals with air conditioning indoors, or they can appreciate the view of Opera Square on the outdoor patio. As my Romanian is quite limited, my diet at restaurants have been constricted to mostly pasta dishes as those are the only dishes I recognize. Sad I know. 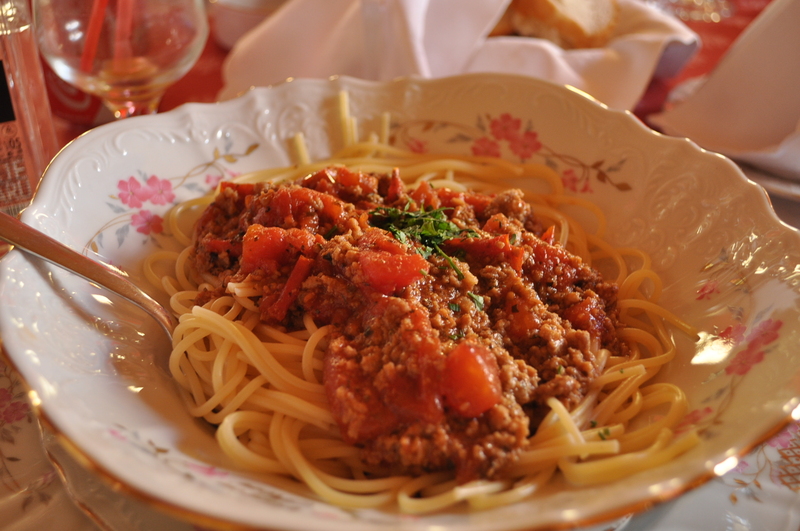 And so yes, I ordered their Spaghetti Bolognese and an orange juice to go along with it. The price of their food is a little higher than other restaurants I’ve been to, but I could definitely taste the higher quality of the food that went along with it. The consistency of the pasta dish was apparent from the get-go, the chef not having left too much water with the pasta, which often results in that runny, “mushy” sort of texture when made by less experienced hands. It’s hard to explain, but the whole meal just tasted healthier. As well, the amount of sauce was just perfect. The pasta wasn’t drowning in it, but it wasn’t sparse either. Just right. As a side note, the orange juice was so delicious, I wouldn’t be surprised if they had an orange tree right around the corner from which they get their fruit. I also had a bit of tiramisu, and having tried tiramisu from several other local restaurants, I feel confident in declaring this restaurant’s to be the best so far. Softer, fluffier, and creamier. You can tell that it wasn’t just hauled out of the deep freeze and microwaved for a few minutes. The service was professional, and all the staff serving us could speak English, which is a huge, huge plus as I haven’t come across many fluent English-speaking waiters. All in all it was a pleasant experience. On a scale of 1-5 stars, with five being the best I’ve tasted in Romania, I would give it a 3.5.